It’s autumn holiday week here – the sun is retreating, schools are on mid-term break, and summer is starting to seem like a distant memory. It’s time to escape the daily grind if at all possible. But what will you take home? And how long will it last? 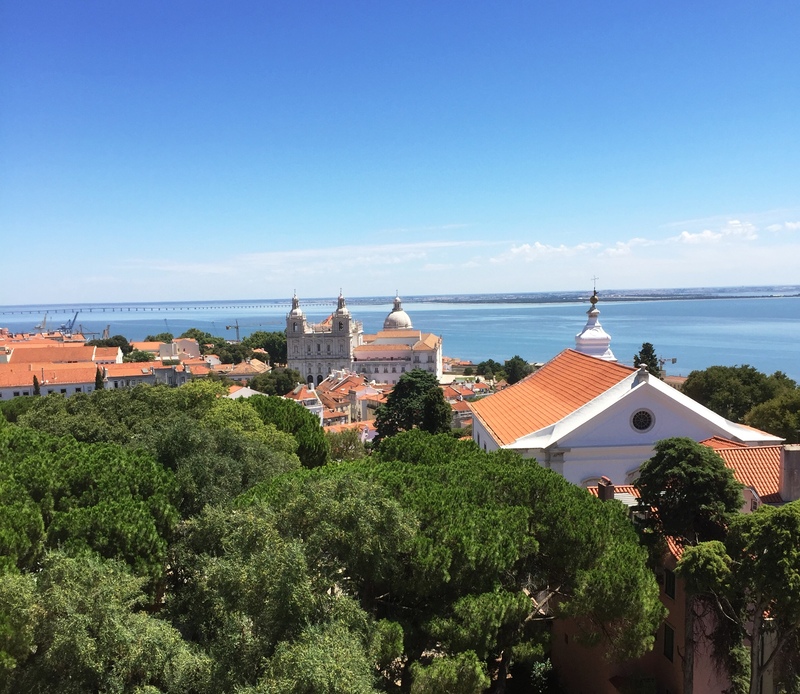 4,600 kilometres north, I can still hear the slap-slap of the waves of the Tagus in the port of Lisbon. This August I took home Lisbon Poets, a new bilingual edition of their best, with English translations by Austin Hyde and Martin D’Evelin. I was thrilled to see it in tourist shops – it was several cuts above the usual souvenirs, but no more of a strain on my EasyJet luggage allowance or budget. It led me to Florbela Espanca and others who are far little known in English. will follow me, across the very globe. This is the beginning of his voyage to the ‘Indies’ with Vasco da Gama, which was quite an adventure. I haven’t seen anything quite like Lisbon Poets anywhere else: compact, compelling and making you want to find out more about a new place from the people who know it best. I’m back in Warsaw next weekend so I’ll have a look. When I lived there in the 1990s Wydawnictwo Literackie did some lovely hardback editions of individual poets, but a lot are now out of print. The Czesław Miłosz edition has a host of translators; this poem from it is translated by Louis Iribane and David Brooks. and the wreckage of flowers. again on the vendors’ shoulders. on that beautiful Warsaw Sunday. as they pass by the martyrs’ pyres. born before the flames have died. for his flying in the fire. the language of an ancient planet. rage will kindle at a poet’s word.